What explains this intriguing drawing featuring nine precisely rendered variations of Christ’s loincloth? At first sight, this drawing makes a rather chaotic impression. It shows broad bands of fluttering drapery folded around the truncated lower torso of a male naked body. Nine different versions of this curious motif are crammed onto the page by the artist known as the Master of the Coburg Roundels, a German painter and designer of stained glass. The crowdedness and random composition suggest an artist practicing a particularly difficult motif over and over again and conjure up images of a whole heap of crumpled sheets with less successful renderings. But considered as part of the artist’s workshop practice, this drawing turns out to be part of a planned and systematic exercise. The crucified Christ was one of the most important and most frequent motifs in the visual arts in the 1400s, when this drawing was made. It was also very static, with Christ’s body and limbs fixed in place by the structure of the wooden cross. 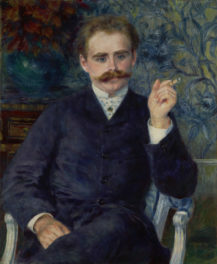 The loincloth alone offered room for variation and allowed the artist to add a personal twist to the scene. The drawing shows a number of such creative variations, most likely observed from an actual drapery and made to be used as models for crucifixions executed in prints, paint, or stained glass. Zooming in closer on each knotted bulk of fabric, you can observe the differences: tails flap both up, up and down, or not at all; knots are tied left over right and right over left; sometimes the drapery is folded under Christ’s leg, sometimes simply around his middle. 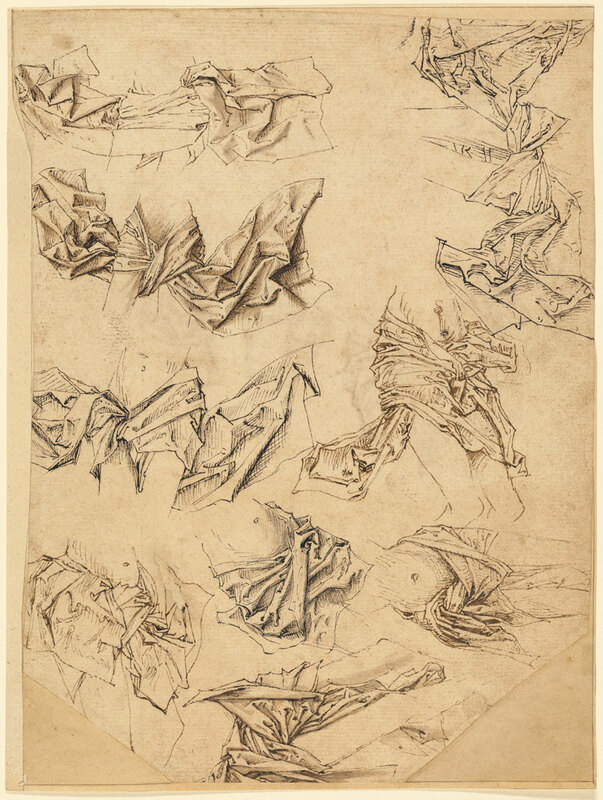 While to us the meticulous study of the anatomy of folds and creases is beautiful and intriguing, back then such a drawing was mainly valued for its workshop purpose: it provided various renderings of Christ’s loincloth that the artist and his assistants could consult later when executing paintings and stained glass panels. 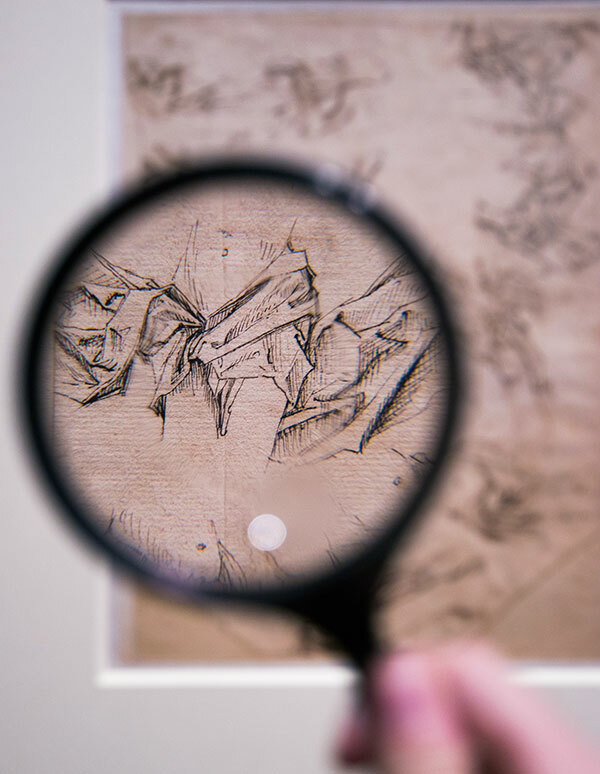 Yet despite its utilitarian purpose, this elaborate, fluttering loincloth can also be seen as a symbol of Christ’s imminent resurrection: while he hangs dead, the cloth shows signs of life, and prefigures what is to come. Whether the loincloth depicted in this sheet stands in for resurrection is hard to tell, but it certainly is notable for its lively and vibrant portrayal. This drawing is featured in the exhibition Art of the Fold: Drawings of Drapery and Costume at the J. Paul Getty Museum from October 6, 2015, to January 10, 2016. Text of this post © Ann-Sophie Lehmann. All rights reserved. I'm professor of art history at the University of Groningen, The Netherlands, where my research investigates how materials, tools, and practices shape visual artifacts and their ensuing meanings and uses. I was a scholar at the Getty Research Institute in 2013. I think there is another dimension to this interesting question than the one you describe. I suspect that many artists considered the loincloth of Christ to have a deep theological significance. Since the loincloth was naturally the cloth most likely to be used for wrapping a corpse, and since the scriptural descriptions insist upon the cloth remaining in the Tomb (cf. eg. Luke 24:12 “But Peter arose, and ran unto the tomb; and stooping and looking in, he seeth the linen cloths by themselves; and he departed to his home, wondering at that which was come to pass”), it may well be that the loincloth was particularly venerated as the main relic to be left behind after the Ascension. (I leave aside medieval disputes about the alleged prepuce of Christ, venerated for the same reason as having been left behind on Earth). The Guatemalan contemporary artist Luis González Palma has made an extraordinary series of strongly devotional photographic studies of the loincloth of Christ as depicted by various old master painters. 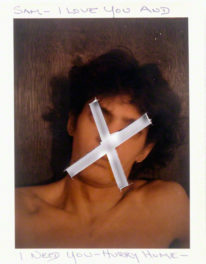 His series is called La Luz De La Mente (2005) and is visible at http://bit.ly/1M9ai6A . It was while thinking about these pictures that I first formulated the notion expressed in the paragraph above. I should add that I am a critic of photography and no theologian.